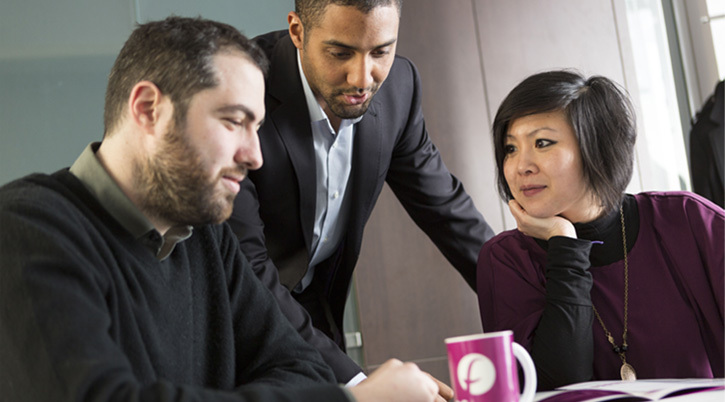 Fives' global reputation and financial success are a direct result of the strong values that make the foundation of the company's culture. Because the individual conduct of every employee can have a profound impact on the company's performance, each and every employee at Fives must live up to these values, acting responsibly, with integrity, and in compliance with the applicable laws and regulations of countries in which the Group does business. Fives' Code of Conduct: our common values and "dont's"
Fives' Code of conduct sets the principles and rules that govern the behavior which every Group employee, whatever his/her level of responsibility, must know and apply. Each employee of Fives has received a copy of this code in his/her native language. This document sets the standards to which Fives' employees conduct their activities, and also to which the Group holds its clients, suppliers and sub-contractors as well as agents, consultants, distributors, and other third parties who represent the company or its products worldwide. This comprehensive document gives a clear framework for Fives' management teams - whatever their country of operation, their activity or affiliated historical background. In 2000, the United Nations introduced its Global Compact as a strategic policy initiative for businesses based on the promotion and implementation of 10 universal principles. These 10 principles provide a framework for compliance with human rights, labor standards, environmental and corruption prevention measures. The Fives group officially joined the UN Global Compact on April 14, 2011. Each year, the overall progress made by the global CSR (corporate social responsibility) program of the Group and how that progress relates to the commitment made by Fives to respect and promote the 10 principles of the UN Global Compact is disclosed in the CSR and Annual report. GC 2. ensure that they are not complicit in human rights abuses. GC 6. the elimination of discrimination in respect of employment and occupation. GC 9. encourage the development and diffusion of environmentally friendly technologies. GC 10. Businesses should work against corruption in all its forms, including extortion and bribery. I am convinced that working together with international players is the only way to promote fair and responsible business practices throughout the world. 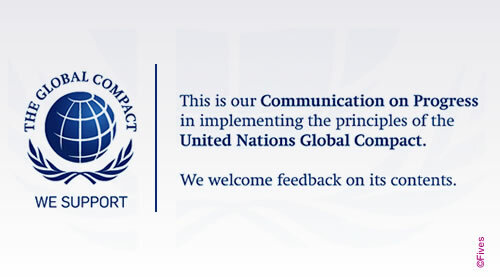 The United Nations Global Compact is a pragmatic approach to progress collectively in this direction. I fully support this initiative,that provides locally and internationally tools and best practices sharing.